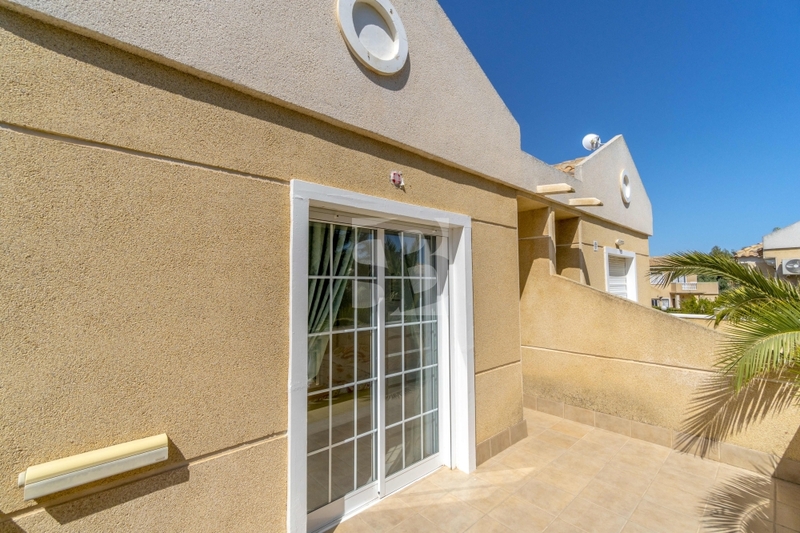 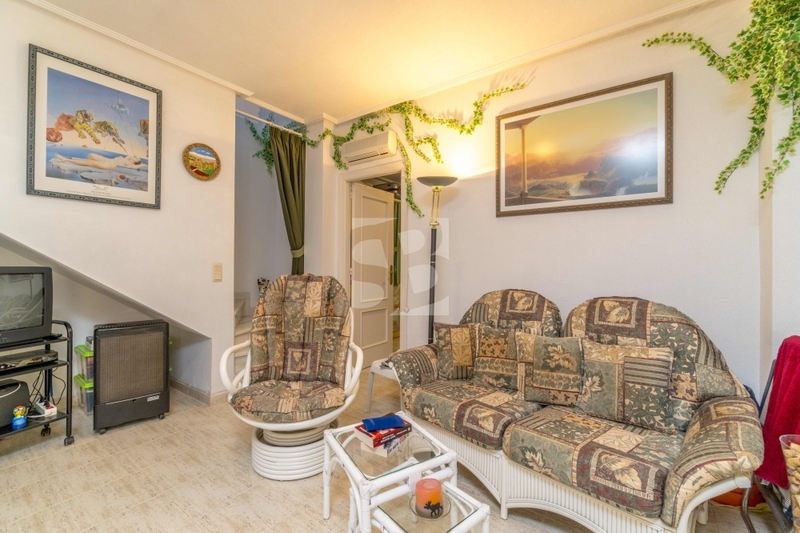 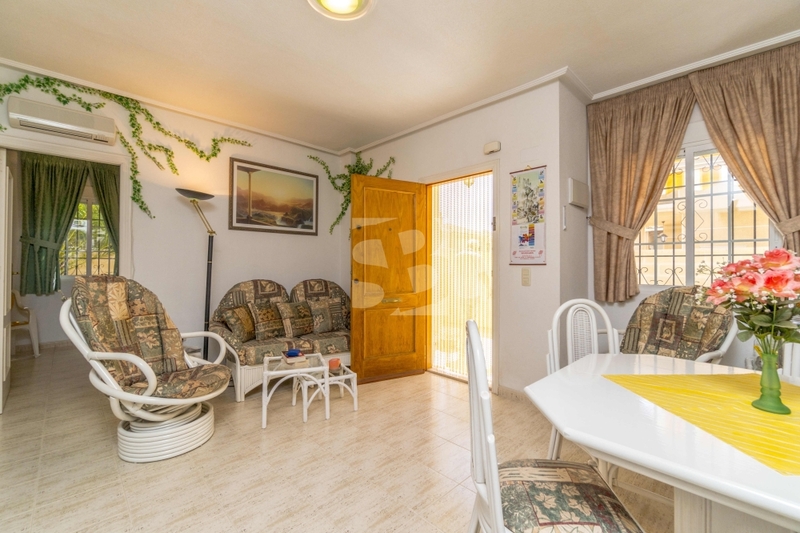 Great corner duplex perfect to live on the coast with your family or enjoy your vacation in a sunny apartment and looking to the residential pool in the sought after area of Aguas Nuevas. 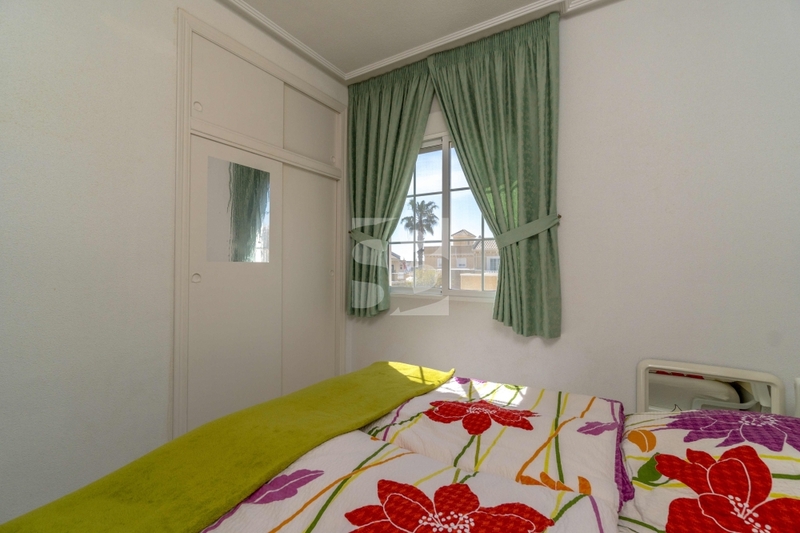 The house is in perfect condition to enter and live. 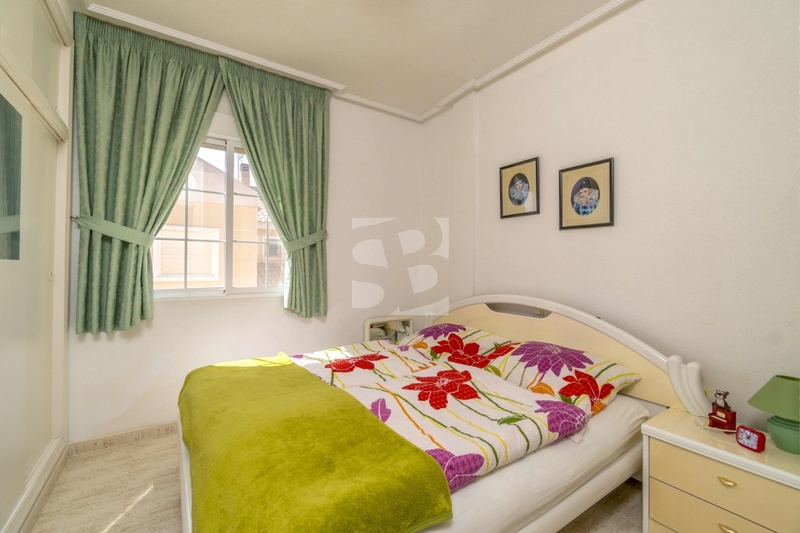 It has three bedrooms, one of them double on the ground floor and the other two on the upper floor. 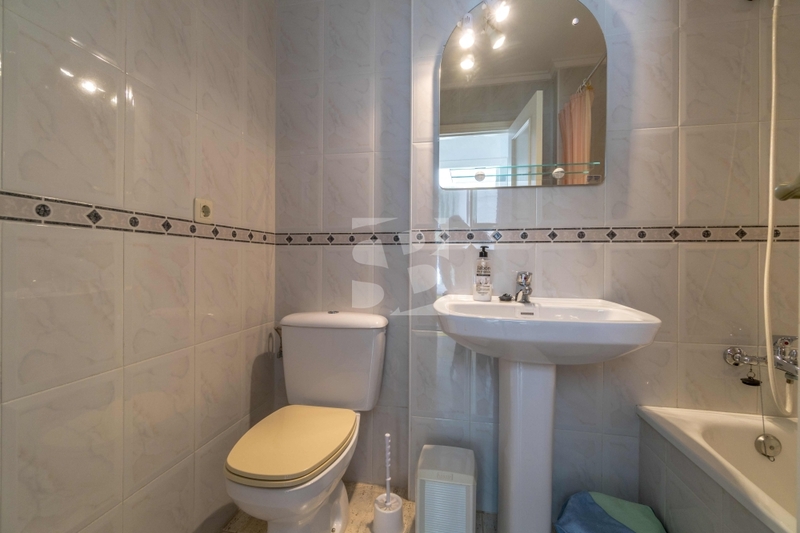 It has a full bathroom on the top floor and a toilet with shower on the ground floor. 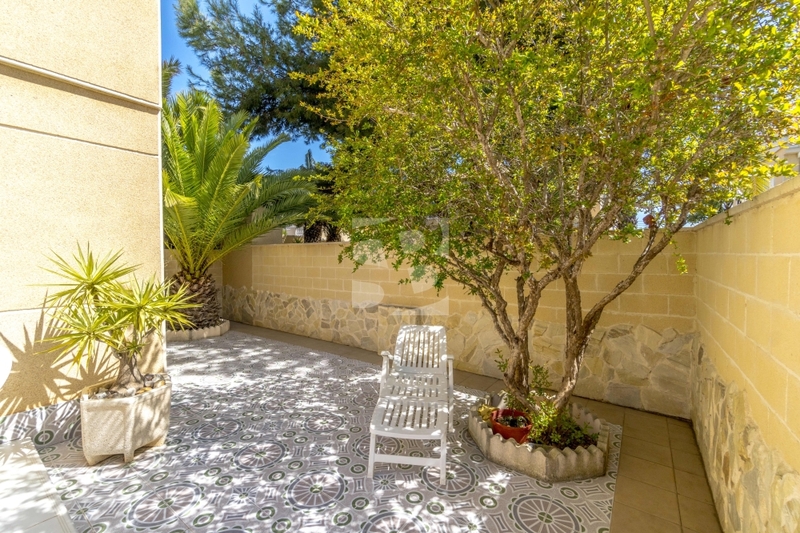 The house to be corner has a large garden all tiled and very sunny, since it is South orientation. 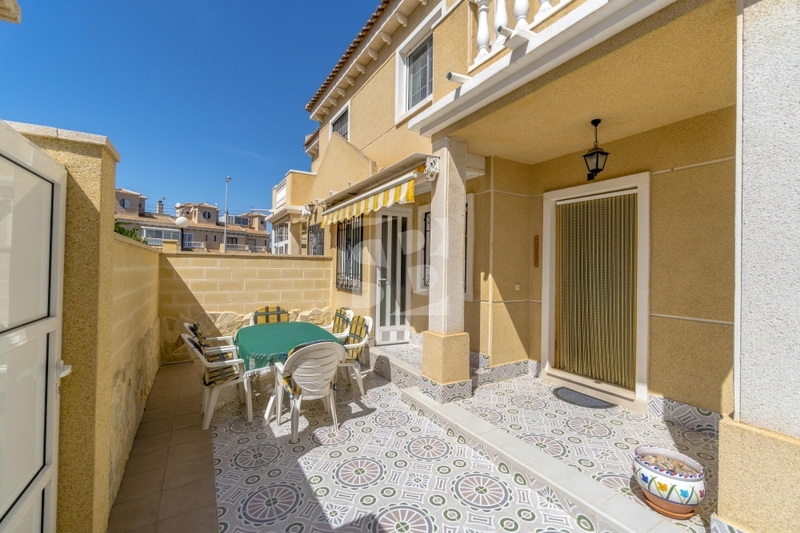 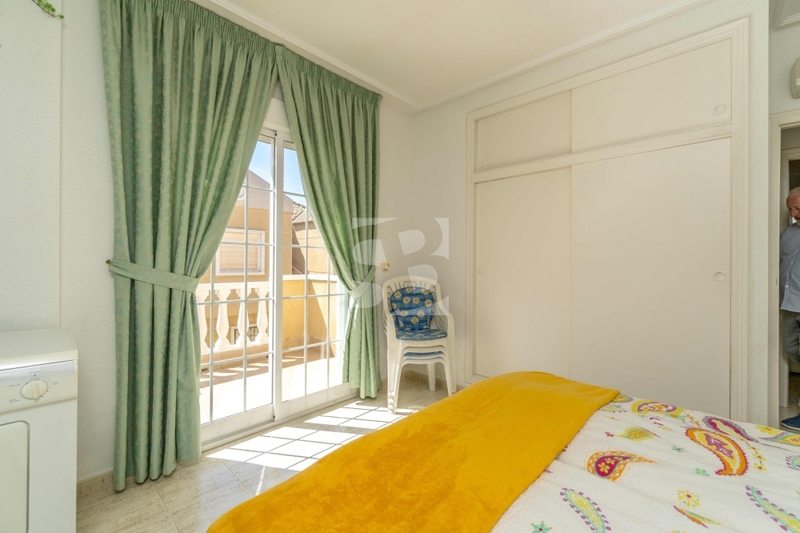 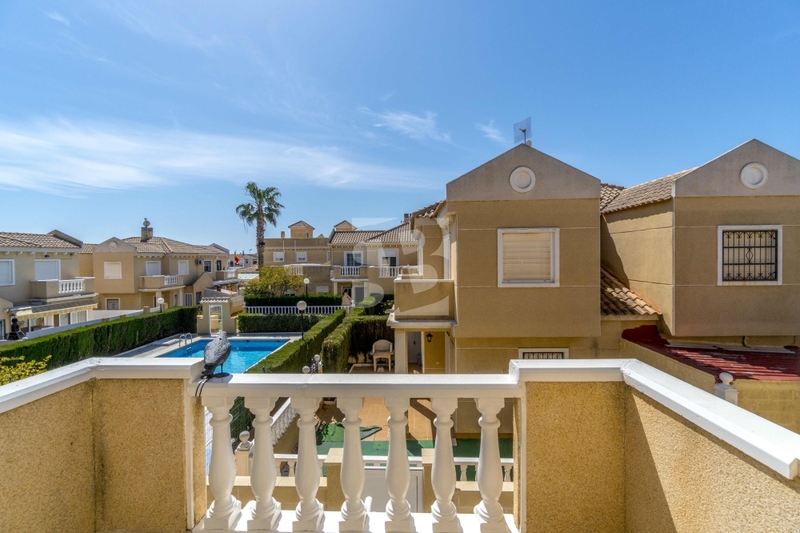 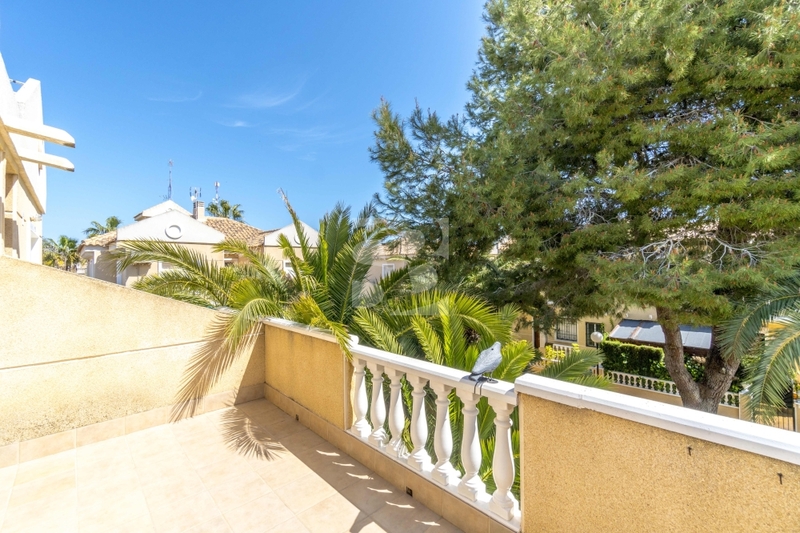 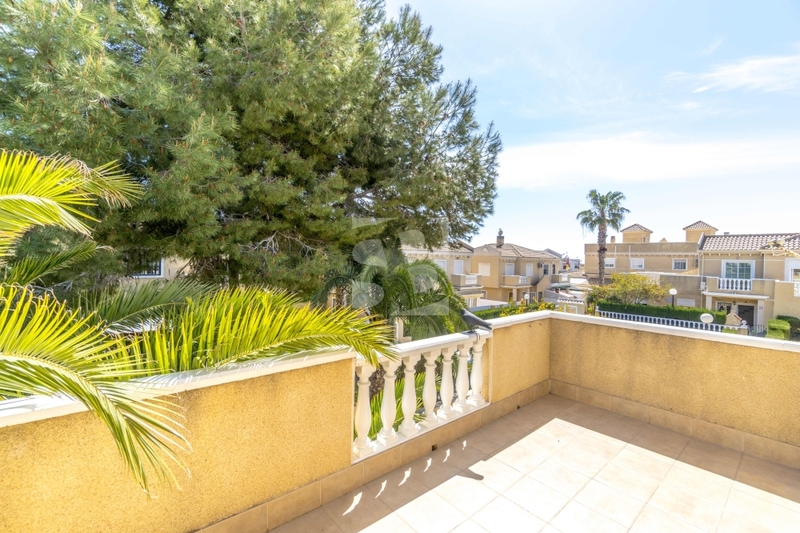 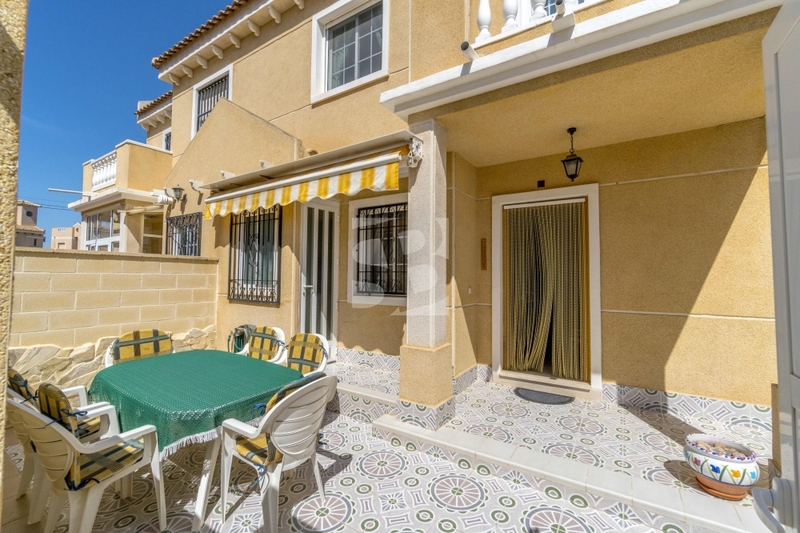 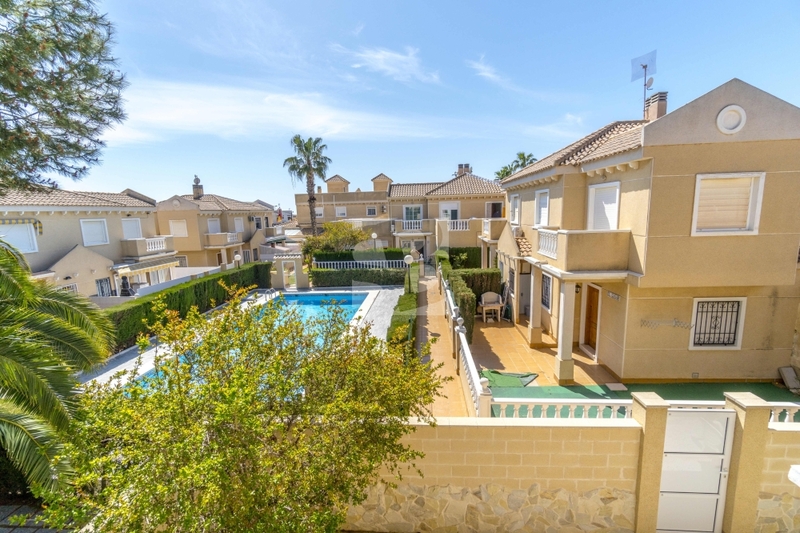 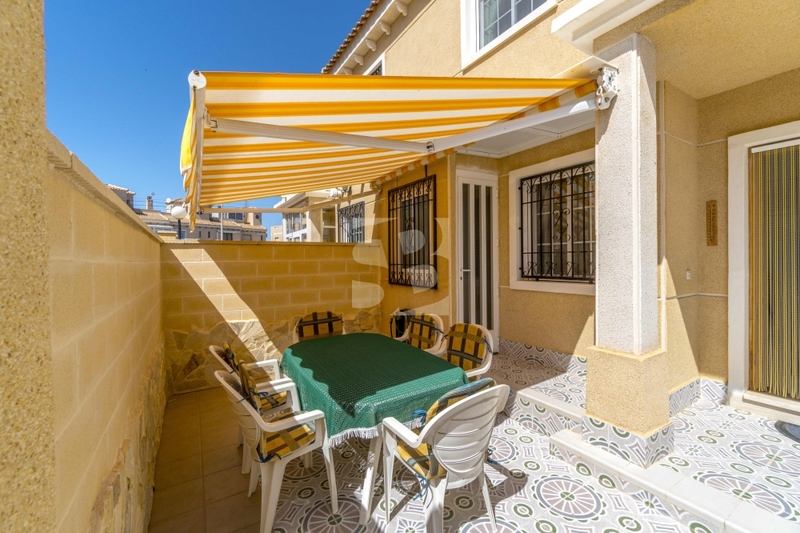 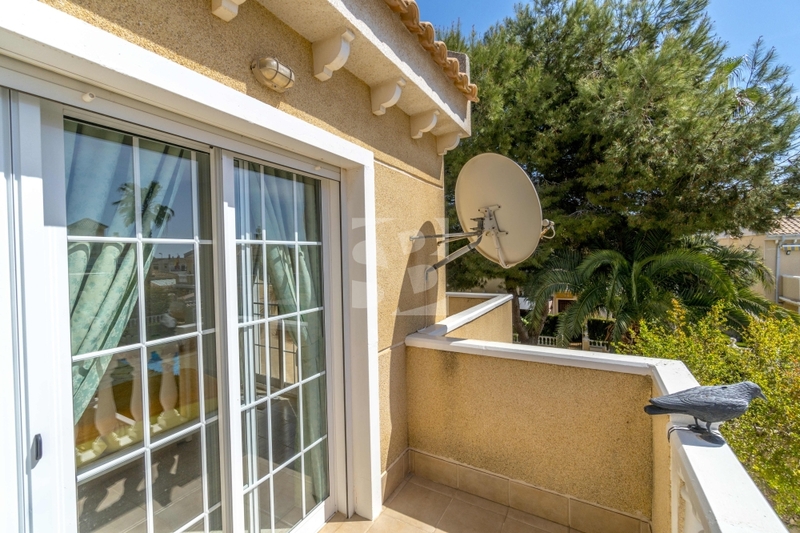 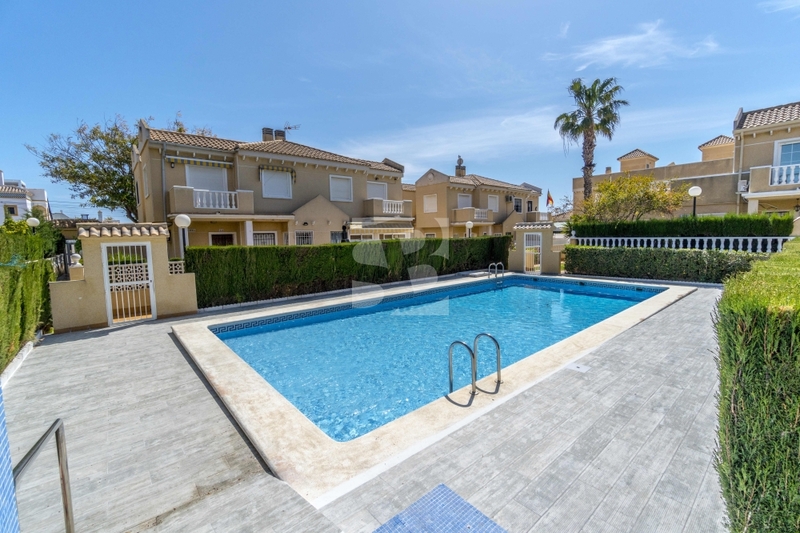 It also has two terraces on the top where you have very nice and sunny views over the residential pool. . 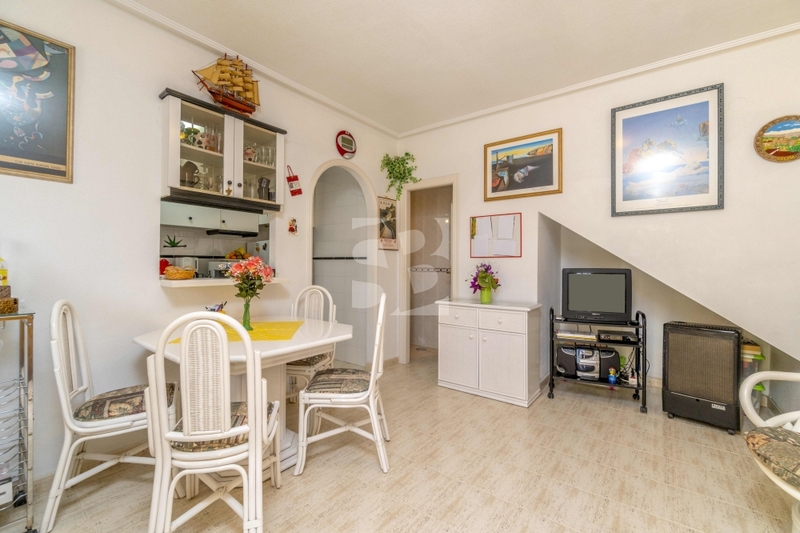 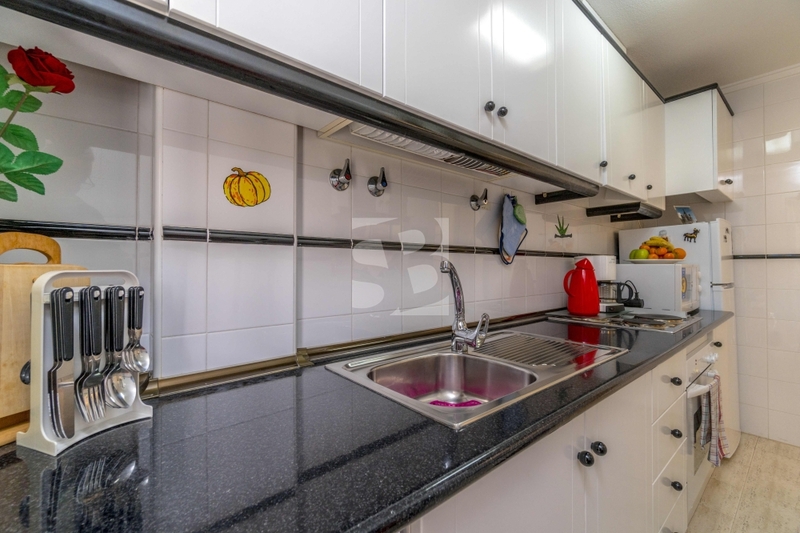 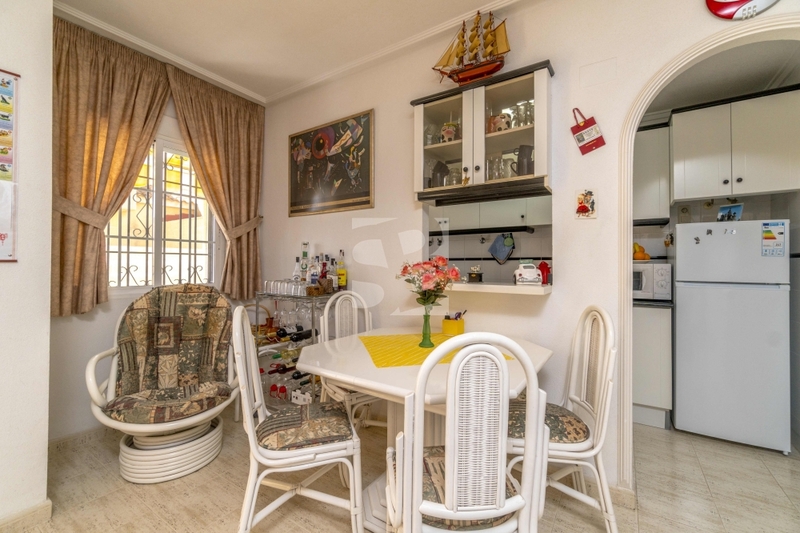 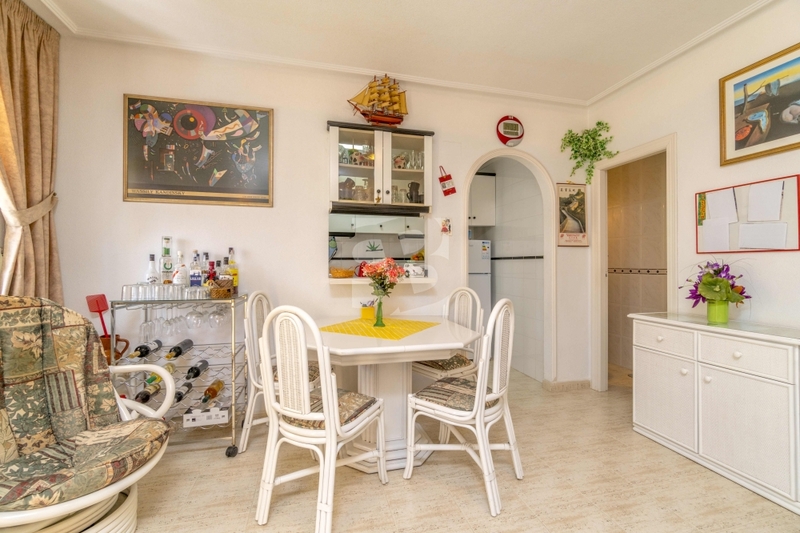 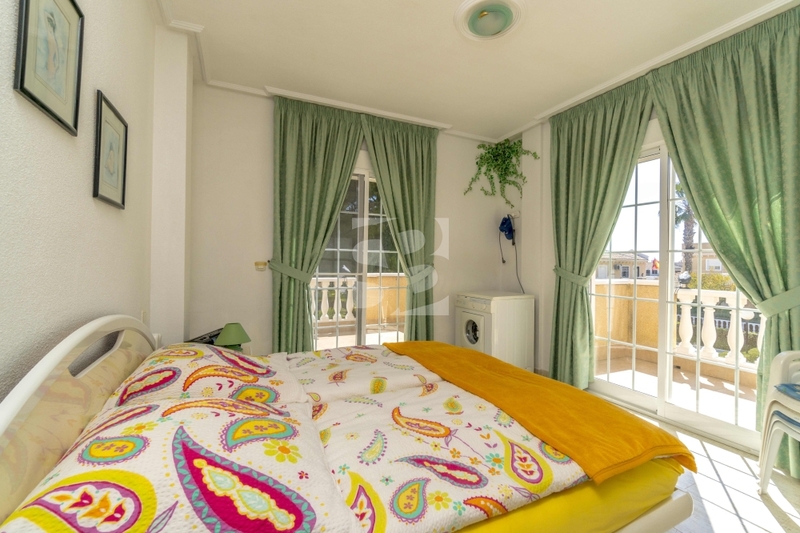 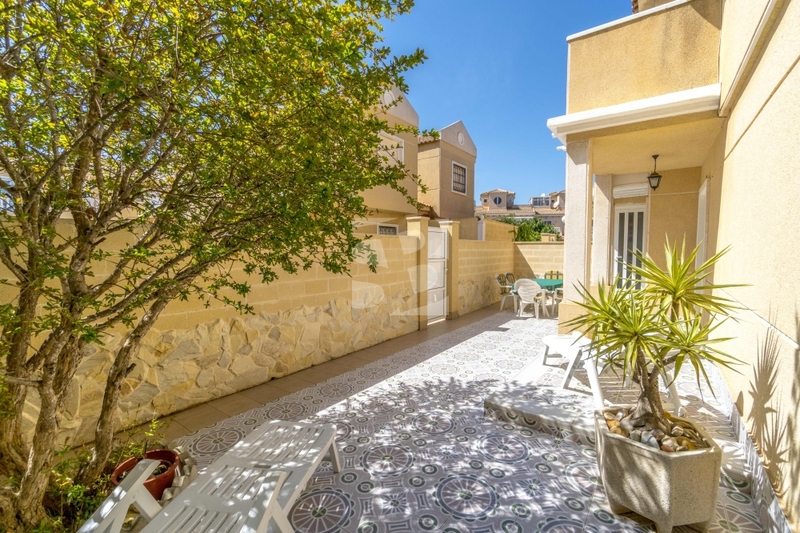 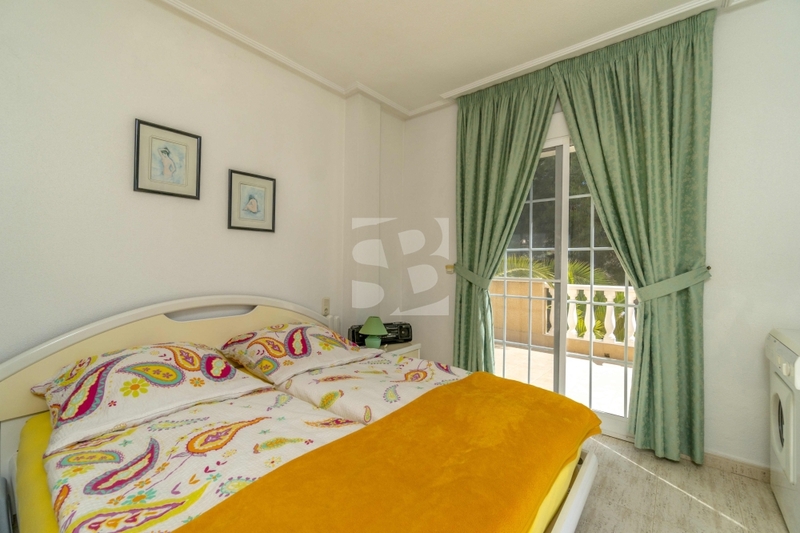 The living room is facing south with double window, so it is bright and has access to the kitchen that is fully equipped and from the kitchen you can also access the garden .. 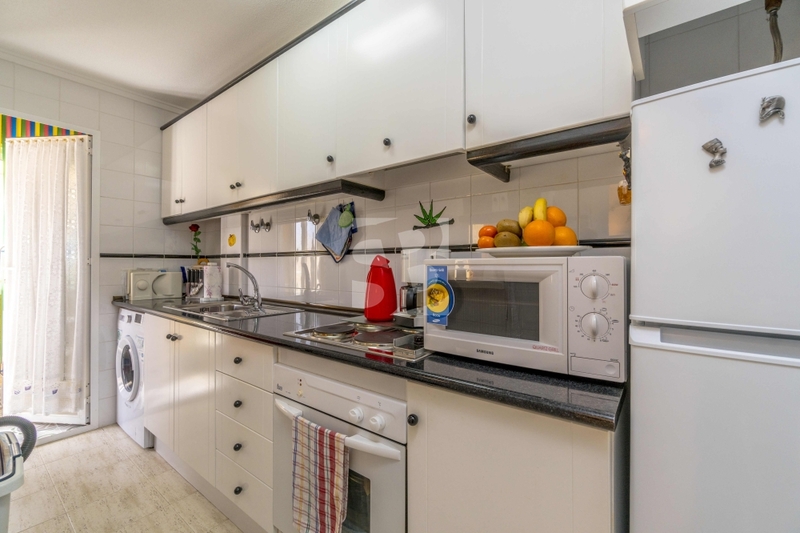 The area is a very residential area, quiet, with all services around, supermarkets, shops, buses, private hospital, and the beach of the bush is approximately less than 1 km away being able to go for a relaxing walk to the sea .. 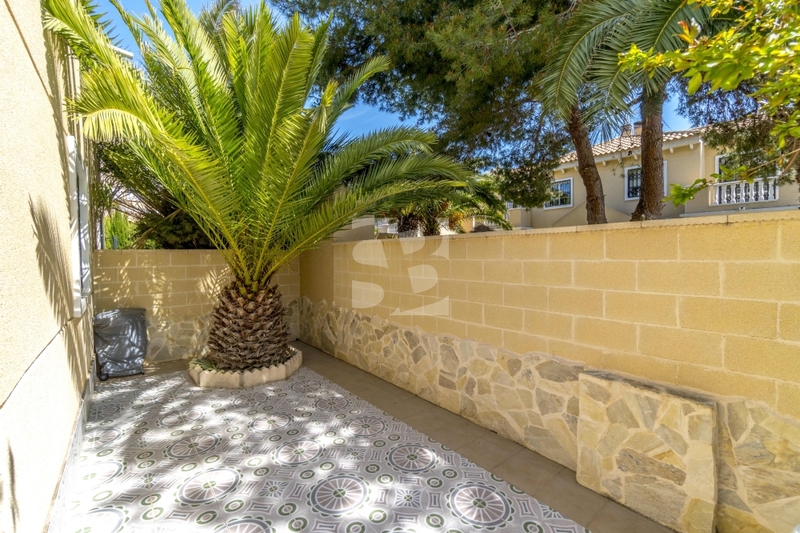 If you are looking for a home in the area, sunny, with garden and in perfect condition do not miss this opportunity and call us.